Want your kids to love nature as much as you do? A backyard garden is a great place to start. Keep reading to discover three of the easiest plants to grow with your children. Many people feel as though gardening is a difficult and demanding task. And while the level of difficulty is highly dependent on the type of plants you’re growing, anybody who has a remote interest in gardening can grow a number of simple plants, even children. A new survey by Harris Poll for the National Association of Landscape Professionals conducted among 2,034 U.S. adults (ages 18+), finds that three quarters of Americans (75%) feel that it is important to spend time outside in their yards, and spending time in the backyard with your children is the best way to nurture their love for the outdoors. If you want to spend time gardening and growing with your kids, you don’t have to become a master gardener first. Here are just a few of the easiest plants to grow with your children to help introduce them to the joys of gardening. Many kids enjoy munching on carrot sticks with peanut butter or ranch dip as part of a healthy and balanced lunch. Luckily, carrots are one of the simplest veggies to plant. The seeds can be planted directly into the soil because carrots grow best in cooler temperatures. They will require some patience to germinate, so they may be best grown in tandem with another veggie. Make sure the soil is fertilized and free of rocks that could inhibit the natural growth process. When well-watered and properly maintained, carrots should mature in about 60 days. Smaller varieties tend to be easier to grow and more popular with children when it comes time to harvest and enjoy. Sweet potatoes are one of the most nutritional, versatile, and kid-friendly foods. Fortunately, there’s also a super simple way to grow them at home! Simply insert four evenly distributed toothpicks into the sweet potato. Then, place it into a glass of water, pointy end facing down. After some time, it will begin to sprout roots. These roots can be cut and placed into another glass of water to sprout another sweet potato plant. Then, transfer the seedlings into a pot and water regularly. Even though this process takes some time, it’s a simple and sustainable way to save money on produce while spending time in the garden with your children. Harris Poll also reports that 67% of Americans agree that professional landscaping would allow them to have a nicer yard. And while not everyone can afford to hire a professional, it’s easier than ever to spruce up your yard with some beautiful and fast-growing sunflowers! Sunflowers are one of the most kid-friendly plants, and they are sure to help grow your children’s green thumbs. Ultimately, about 83% of Americans think having a yard is important, and gardening with children is just one of the many pleasures it can provide. 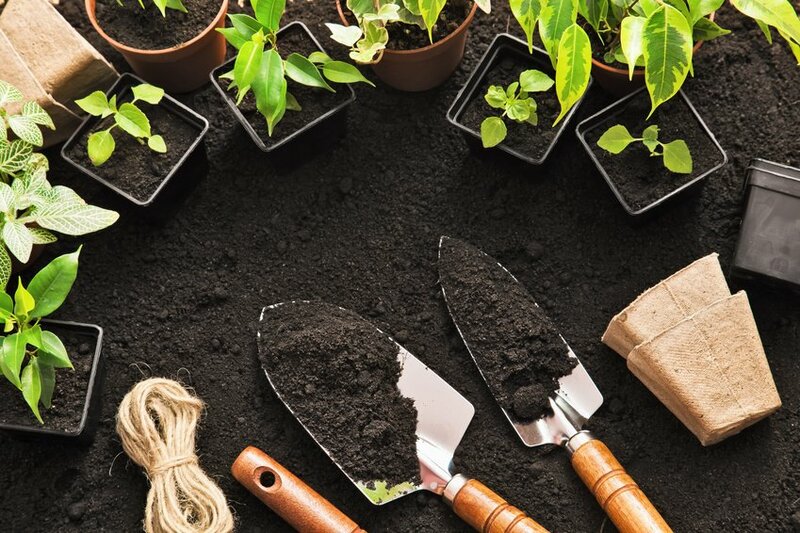 Be creative in your gardening endeavors, choose one of the easiest plants to grow, and serve as a positive and eco-conscious role model for your children.